It may be small (and kind of smelly), but it does the trick. 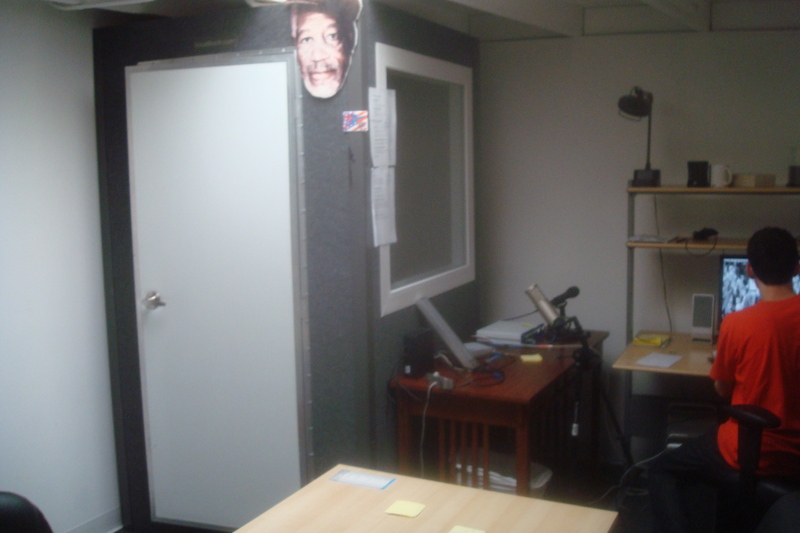 Morgan Freeman presides over our sound booth. After all, he is the patron saint of voiceover.